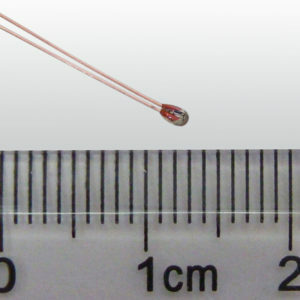 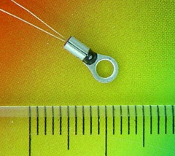 ATH10KBL2AT65 – Analog Technologies, Inc.
ATH10KL2A series thermistor consists of three versions, ATH10KBL2A, ATH10KBL2AT65 and ATH10KBL2AT65S. 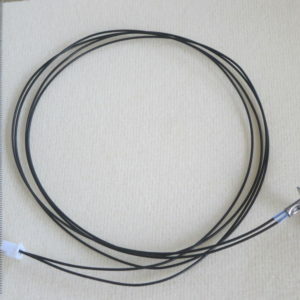 The ATH10KBL2A has bear leads coated with copper, the ATH10KBL2AT65S has the leads covered by high temperature plastic tubing and sealed by epoxy, while the ATH10KBL2AT65 is the non-sealed version. 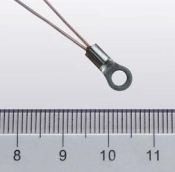 Comparing with conventional assemblies containing epoxy encapsulated thermistors, ATH10KL2A presents higher long term stability, higher reliability and wider temperature range. 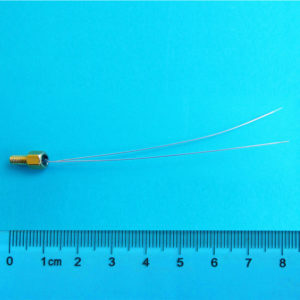 In addition, it has a small size and short response time.